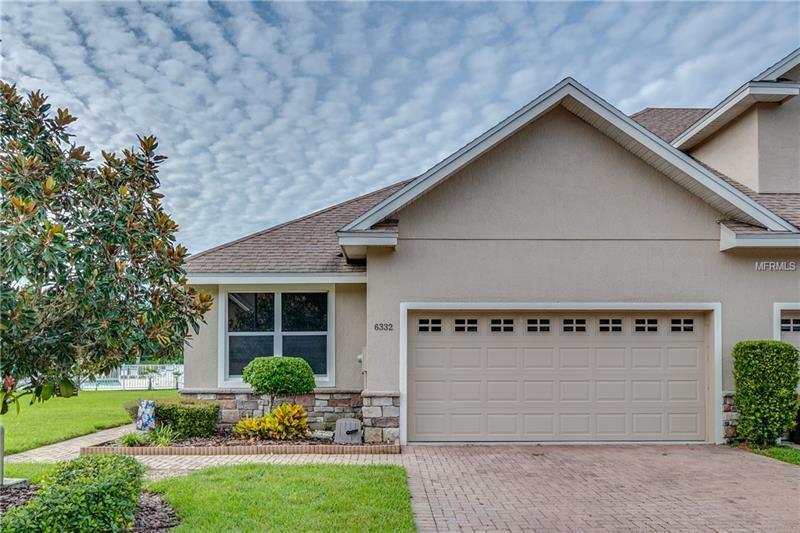 ABSOLUTELY IMMACULATE Home with GORGEOUS UPGRADES Featuring Open Floor Plan, Gourmet Kitchen with Quartz Counters/Maple Wood Cabinets/Stainless Steel Appliances (French Door Refrigerator)/ Breakfast Bar. Dining Room Open to Spacious Living Room. Glamour Master Suite with Walk-In Closet/ Dual Vanities/ Solid Surface Counters/ Wood Cabinets/ Garden Tub/ Separate Shower with Lovely New Subway Tile. Completely Upgraded Spare Bathroom with Subway Tile/ Solid Surface Counters/ Wood Cabinets. Upgraded Plumbing Fixtures in both Bathrooms. Stunning Wood Look Ceramic Tile Flooring. Crown Molding. Inside Utility Room. Screened Lanai Perfect for Sipping Coffee or Just Enjoying the Outdoors. Overlooking the Sparkling Community Pool!! Paver Driveway/Walkway/Lanai. End Unit with a lot of Extra Yard Space Between Units is a Special Perk. You Will Love This Tastefully Decorated Home!! Won't Last Long!! Pet Restrictions: See HOA regulations for details.